You might not be able to vacation in Cuba anytime soon, but that doesn’t mean you can’t experience the delicious cuisine of this island nation. 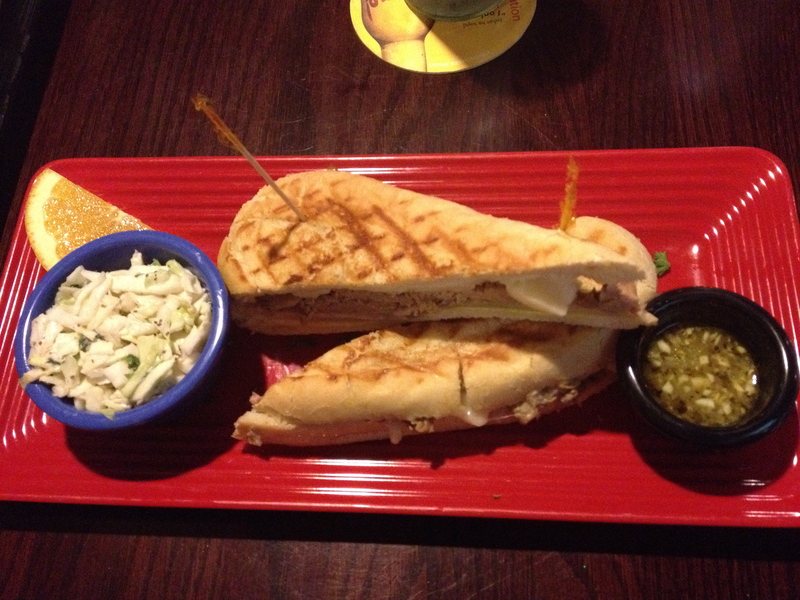 Tasty sandwiches, refreshing mojitos, and a relaxing atmosphere await you at Mojito’s Tropical Cafe in Columbia, SC. Make sure you have a view of the projector screen so you can enjoy video clips of various beach scenes while you dine on your delicious sandwich (much classier than it sounds). 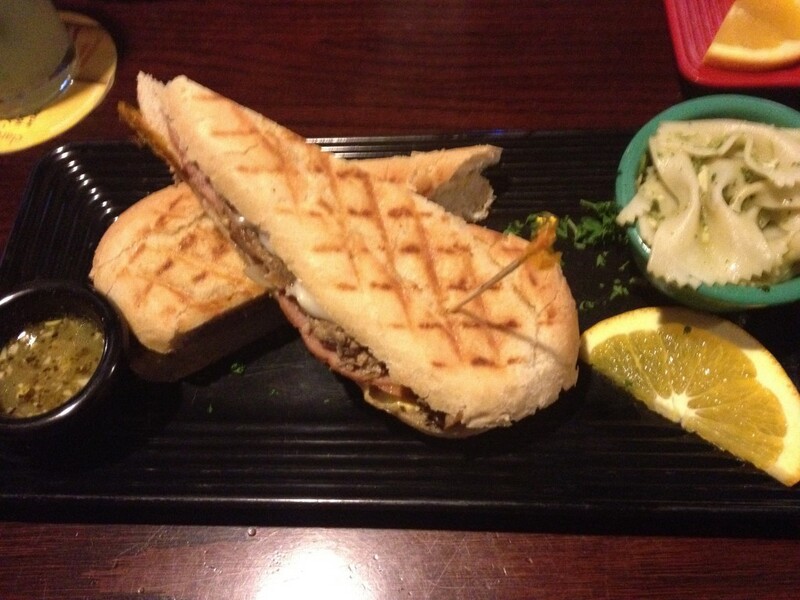 “Mojito’s Sandwich Cubano” is the way to go for your first time. Think cuban barbecue. Mojo marinated pulled roast pork , smoked ham, swiss cheese, dill slices, and a creamy spread of mustard on pressed, cuban bread. The sandwich is cut diagonally for optimal dipping functionality. 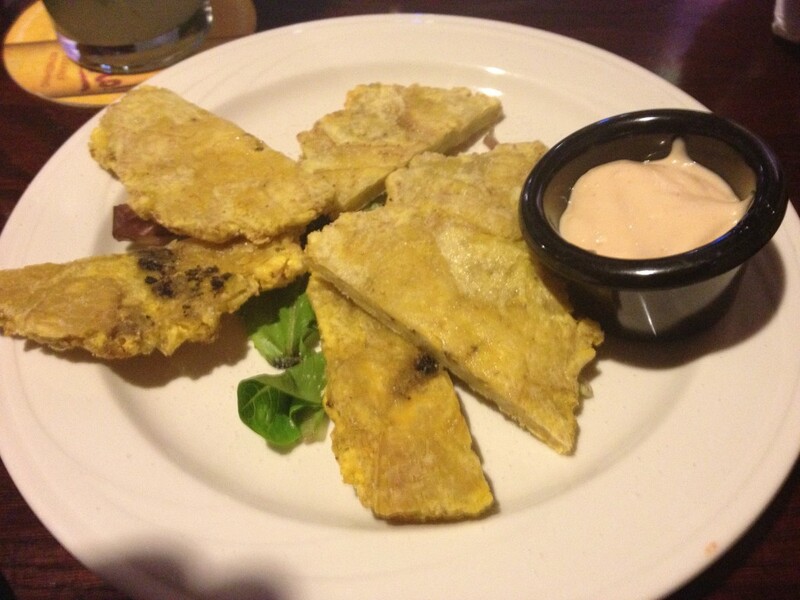 Served with your choice of sides (pesto pasta, Caribbean slaw, or potato salad) and a mojo dipping sauce. Mojo is a subtle-but-tasty combination of olive oil, crushed garlic, cilantro, and a few unidentifiable herbs and spices. Quite succulent. Mojito’s Tropical Cafe is a fantastic option for these balmy South Carolina winters. Enjoy a night in the Vista (very chic! ), tricking your stomach (as well as your wallet) into thinking it is in a modestly priced, tropical communist paradise, all-the-while basking in the glow of your thriftiness. Cheers!